The Government previously announced that following an engineering survey they would be placing a weight restriction on Swing Bridge and enforcing single lane traffic. There is also be a 15 KPH speed restriction for motorists when crossing the bridge, and the changes came into effect on December 22nd. A spokesperson said, “The Ministry of Public Works wishes to advise members of the public to be aware of the traffic control operating on Swing Bridge if travelling to the New Years Eve celebrations in St Georges tomorrow evening [Dec 31] and to allow extra time for their journey. 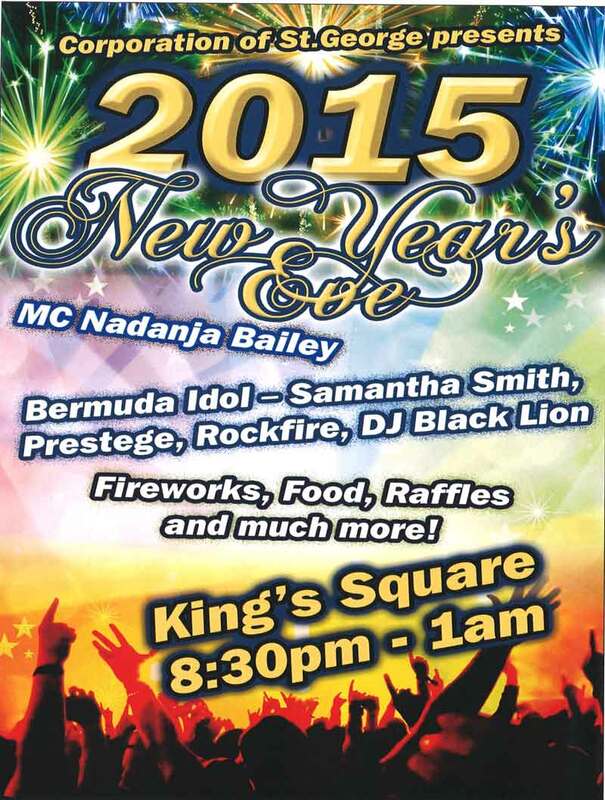 The Corporation of St. George’s will be hosting their New Year’s Eve Celebration on King’s Square from 8.30pm onwards tomorrow, with the entertainment to include Samantha Smith, Prestege, Rockfire and DJ Black Lion, fireworks, the Bermuda Onion drop and more. Have they advised the developer of the new hotel? Breaking ground any day now. Irony of this solution is that now you have 5-10 cars sitting on the bridge waiting for the light to change rather than the 1-3 driving across it at any given time if there were no lights. In other words, the government’s solution to decrease the weight on the bridge at any one time has actually increased it. Ummm… nope… the approaches on each side aren’t the problem… its the swinging span that is weak. Vehicles waiting in line behind the stoplights are a non issue. So shameful that it has come to this. The Swing Bridge is the ONLY way into and out of St. Georges. bridge. What is one dollar? Bermuda where is your pride? While I am annoyed that it is has come to this as well, just to let you know the walkways at Baileys Bay were funded privately. I agree with you to a degree. However, the railway bridge was a public/private venture and the majority of the funding was private. It’s not only privately funded, but it’s a wooden walkbridge. Hardly the same thing is it.